Bad lawyers and unscrupulous attorneys-at-law have infested every business and industry, every government and non-profit, every field of endeavor and walk of life … to the detriment of them all. Did you know that BAR-registered attorneys-at-law were once barred from running for political office in the USA? Nevertheless, the legal profession eventually overran Washington and took over virtually every powerful office and influential position in sight. Truly, the legal profession has undermined American society like none other. In fact the vast majority of elective offices at the national level are held by current BAR-registered lawyers or previously practicing attorneys. Hence, it is important to bear in mind that most members of Congress are BAR-registered lawyers just as the highest level positions within the Executive Branch are held by lawyers. Of course, the entire Supreme Court is constituted with ex-judges who were BAR-registered lawyers. Now many will say that surely there are other professional groups which have inflicted more damage on the USA. For instance, look at how the doctors have ruined healthcare. Others might point to the way that real estate developers are looking to tear up every square inch of the country. Almost everyone agrees that the scientists have really wrecked the world … by creating the efficient means to do so. Then there is the religious clergy — priests and ministers, rabbis and imams — who are often accused of corrupting the major monotheistic faiths of the world. Many even assert that this is where the original problems really started. With the profound cracks in the religious and philosophical foundations of society, the legal profession (via the political class) would then feel empowered to legislate immoral laws and unethical statutes, self-serving rules and frivolous regulations. Certainly corporations like Monsanto and Dow Chemical, BP and Halliburton, Walmart and Coca Cola have done far more harm to the health of individuals and families, businesses and communities alike. Who would disagree with the extent to which Corporate America has done damage to the nation? 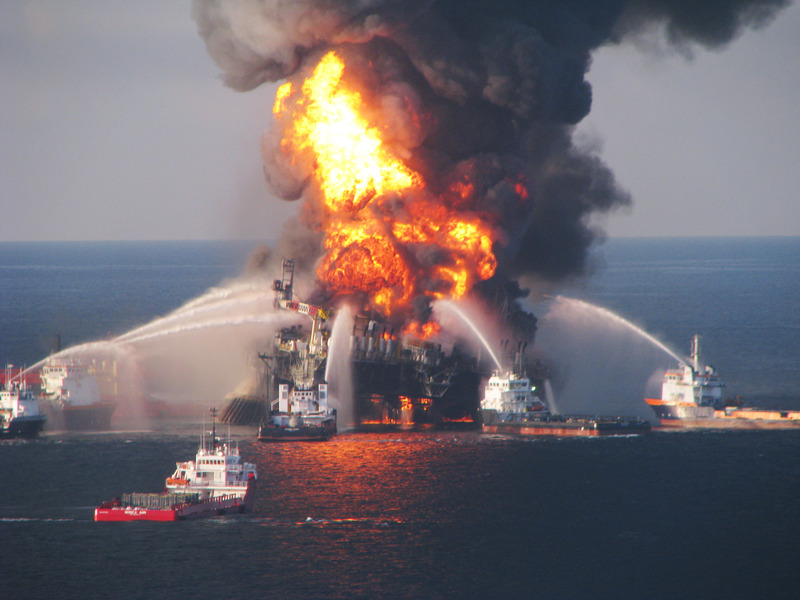 The BP Gulf oil spill is just one example of how a single super major oil company can destroy an entire body of water. While all of these are excellent examples of how the professional class throughout Western civilization has effectively destroyed society, it’s extremely important to bear in mind that all of them have been significantly empowered by their legal counselors. In other words, without their lawyers and attorneys protecting them every step of the way, they all would have been neutralized along the way. Especially for those individuals and corporate entities who aggressively utilize their legal prowess to take advantage of unjust laws as well as legislation full of loopholes are their lawyers always standing at the ready to do their bidding. Herein lies the truth about every rogue corporation, some of which have run roughshod over whole nations. Each employs a veritable phalanx of corporate attorneys who collectively empower their respective companies to conduct its business activity just within the limits of the law. Were it not for these lawyers without-a-conscience, most of the offending corporations would at least try to behave in a manner that was socially acceptable. Unfortunately for society many corporate criminals deliberately hire attorneys to ‘safeguard’ them from prosecution, due to their full intention to behave in a way that is socially unacceptable. 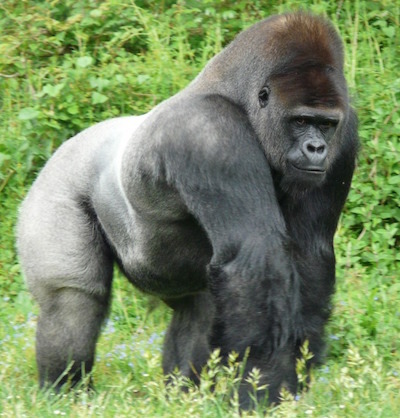 It’s true, an 800 pound gorilla, aka the Corporation, sits anywhere it wants to. However, it the elevation of the corporate attorney throughout Corporate America and beyond which has emboldened the ubiquitous business entity known as the — CORPORATION — to act like an 800 pound gorilla, anywhere and anytime its wants to. When the egregious actions of a transnational corporation like Monsanto can trigger close to 300,000 suicide deaths of farmers throughout the Indian subcontinent, something is VERY wrong. “Let’s pick a country. Let’s go to India and visit Bhopal of Union Carbide fame. Close to 8000 people died within two weeks of that December day in 1984 in what is known as the worst industrial disaster of the last century. Now that Dow Chemical owns Union Carbide, you can only imagine the veritable phalanx of attorneys who are paid unconscionable fees to ensure proper responsibility and accountability will never be assumed by their corporate master. That’s right, well over 30 years later and the people of Bhopal, India are still waiting to be made whole after an unprecedented industrial disaster was followed by an unparalleled public health catastrophe both of which were directly caused by an American company Union Carbide. As usual, the corporate legal strategy employed has been to relentlessly draw out the legal process so that all the plaintiffs, and anyone else with legal standing, eventually die. How convenient! While corporate legal staffs can, and do, a tremendous amount of damage to the planet; other players within the legal profession also inflict their fair share to civil society. This social commentary was not meant to focus on how corporate attorneys have literally ruined the planetary civilization, destroyed the planet and put the viability of the biosphere in jeopardy. While that may sound like serious business, it is all the other lawyer types which are likewise directly responsible for irreparably tearing the social fabric of the American Republic. Here’s one example of how the real lawyer games works. First, the vast majority of liars lawyers always go to where the money is. As an example, anyone who has ever lived in a homeowners association (HOA) know how the HOA leadership rarely follows the official Covenants and Bylaws. Not only do the officers and board members often violate the rules and regulations spelled out in the governing documents, they frequently act like petty tyrants. With the exception of a few, this is the prevailing state of affairs within HOAs across the country. Because of this devolving predicament many a homeowner have found themselves in direct legal conflict with their leadership. When an aggrieved homeowner calls any of the experienced HOA attorneys in the state, extremely fortunate are they to find one who will take their case. Virtually all of them have committed themselves to represent the HOA leadership. Bear in mind that lawsuits of this nature are almost initiated by an offended homeowner who has a legitimate grievance against the HOA. The point is that the HOA has the money to pay for defense counsel; the homeowner on the other hand often does not have the financial resources available; unless, of course it’s a gated community in Palm Beach Gardens, Florida. The much more important point is that it is the HOA attorneys who have essentially written the state’s HOA laws. 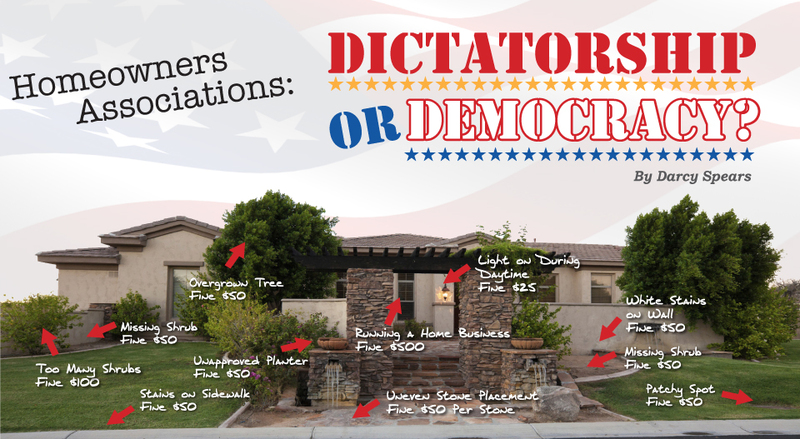 In fact the system is set up in such a way that they have done so — in all 50 states – so that the laws are designed to literally oppress the homeowner and favor the HOA. In this fashion, the HOA specialty attorneys have guaranteed themselves lots of business for the foreseeable future. Many a homeowner will find themselves a plaintiff in a lawsuit or civil action because of the unjust and defective laws which undergird the HOAs of America. Or, they will find themselves to be a defendant by a suit launched by the HOA. In either case they will be hard pressed to find an experienced, competent and/or loyal attorney to take their case. Not only are most of the HOA attorneys working for the other side, in virtually every instance the homeowner will be confronted with either badly written law or law that profoundly favors the HOA. The aforementioned illustration concerning HOAs can literally be applied to any other sphere of life. That’s because every sphere of life depends on attorneys; whereas attorneys do not depend on any other professions on an ongoing basis. That’s not to say that lawyer don’t go to doctors; rather, only that they are not necessary to running the law office. On the other hand the medical practice cannot survive without the chosen malpractice attorney fending off all the aggrieved patients. What’s the point? The extremely critical point is that the legal profession essentially creates the legal structure for every entity — corporate or otherwise — if it is to have any stature in society. Only with the proper legal standing can any organization operate in any given jurisdiction. Those organizations then rely heavily on the same attorneys to help administer and tend to any legal matters in both the civil and criminal arenas. Not only do the lawyers/attorneys perform all the necessary legal work, as politicians they legislate the very laws which provide the statutory framework that is used to govern the nation and/or jurisdiction. In this way the overarching legal superstructure is built by the legal class and, therefore, it inexorably bends in their favor. They built the system, they police it, they administer it, they adjudicate within it. Essentially, they own and operate it from afar … and sometimes close up like the U.S. Federal Government. In fact both the civil and criminal justice systems operate in a manner that is quite similar to a very closed integrated and horizontal monopoly. Because the attorneys who make up the judiciary both enforce and adjudicate from the bench, they can insist on compliance from all the various players of this legal game. They can exert a terrible amount of control and influence over state attorneys and prosecutors, defense counsels and public defenders. In some cases activist judges are prone to making new law faster than state legislatures are able to. Again, the key point is that the lawyers/attorneys practically own and operate every aspect of society given the many aforementioned roles. In so doing they have learned how to press the proper buttons and pull the right levers of power to guarantee their desired outcomes. They have become particularly expert in manipulating the media to their great advantage. They also exert an extraordinary degree of control over their clients both personal and corporate. They likewise wield an enormous amount of influence within city, county, state and national governments. In essence the attorney and lawyers of the world run the whole governmental show. Without them, the whole civilization would stop dead in its tracks … which is exactly the way they set this little game up. It’s also known as job insurance. This is precisely why the Western world is so screwed up. When you have attorneys and lawyers, judges and prosecutors administering a close variant of tyrannical Roman law, what else could be expected. Roman law was essentially designed to accomplish one thing: maintaining the Roman Empire. Toward that end it was necessary for all the laws enacted by Rome to serve the Roman Emperor in the administration of his empire. The ultimate objective, then, of Roman law was to use and exploit it for the explicit purpose of empire-building and maintenance. 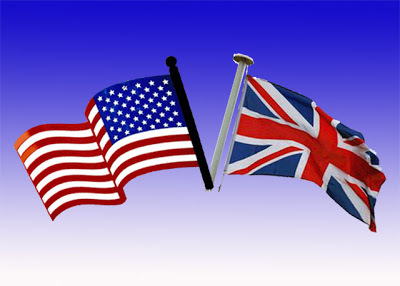 Both the British Empire and the American Empire have followed suit. Because of the sheer difficulty of such an empire-wide exercise, Roman law naturally became highly dictatorial and self-serving. It also tended to be exceedingly harsh and severe always bending in a direction which made Roman rule more efficient and unquestioned, often brutal and uncompromising. In point of fact, the fasces were always paraded before the commencement of court proceedings or setting up of a tribunal. 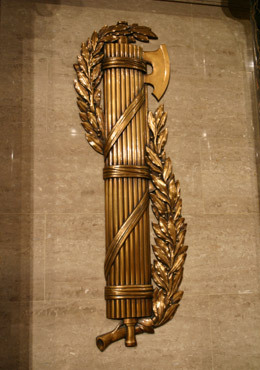 The fasces is a tied bundle of rods with an axehead quite conspicuously protruding from the top end. At the end of the proceedings everyone knows exactly the type of corporal punishment could be handed down by the magistrate. For centuries Western civilization has been proud of its Roman law that was actually established to discipline the various tribes and clans, hordes and factions that were always causing Rome so many problems, especially on the fringes of the Empire. Even the citizens of Rome could be an unruly mob at times. Hence, there were often times when strict and harsh Roman law had to be administered to keep the peace. The crucial point here is that Roman law was for dealing with the barbarians at the gate, as well as inside the gate, not for maintaining law and order in a post-modern society. Nevertheless, those who truly rule from the peak of the pinnacle of the World Shadow Government have kept this crude form of Roman law strictly in place over the centuries. After all, it serves as a firewall between the rulers and the ruled, between the 1% and the 99%. As a matter of historical fact, Roman civil law divided society into two classes: rulers and ruled. The most peculiar feature of modern law is the use of the legal precedent. The Anglo-American common-law tradition is built on the doctrine of Stare Decisis (“stand by decided matters”), which directs a court to look to past decisions for guidance on how to decide a case before it. This means that the legal rules applied to a prior case with facts similar to those of the case now before a court should be applied to resolve the legal dispute. A precedent decided by a higher court. Lower courts are required to follow binding authority when deciding similar cases. For example, precedents decided by the U.S. Supreme Court are binding authority on all American courts. Taken together, these two foundational legal principles have been used to manipulate the system by those who can against those who cannot. In so doing the plutocratic oligarchy that really controls the fascist Government-Corporate Complex (GCC) maintains it ascendancy with great ease. It also does so with very little threat from those who are systematically wronged and/or harmed by powerful people in the system or by corporate entities that like to throw their weight around. As a result of this ongoing state of affairs there are basically two classes which have developed throughout society-at-large — those with full access to the law and those without it. Such an unjust and imbalanced society has given rise to the palpable perception that the ruling elites will always serve their interest via the justice system. And so they have … in every jurisdiction in the land—24/7. In light of the fairly recent U.S. Supreme Court (SCOTUS) decision to define marriage from the high bench, it is quite easy to understand how thoroughly absurd both “precedent” and “binding authority” are. Here we have a SCOTUS that has unlawfully arrogated power unto itself to make such an unconstitutional ruling on gay marriage which then serves as a precedent with binding authority. This particular example of judicial overreach and unlawful activism shows how profoundly flawed the whole system is. One Supreme Court Justice — Anthony Kennedy — essentially settled the of issue marriage for the entire country. Never in the annals of Supreme Court decisions, with the exception of the equally flawed Obamacare ruling unlawfully swung by Chief Justice John Roberts, has the system so flagrantly shown its inherent flaws. American law has now become the laughingstock of the world community of nations overturning millennia of tradition and scriptural authority, while ignoring the common sense of natural law and human reason that proceeds by divine ordination. Now we are seeing where American society has been devastated by such lofty legal manipulations by the highest court in the land. This is precisely how lawyers, working through the highest court in the land, are destroying civil society. They are doing it by misinterpreting one law at a time … one improper ruling a month … or one bad decision a year. By way of illustration, the Citizens United v. FEC ruling by the SCOTUS in 2010 has also caused an awesome amount of damage to the federal electoral process as well as to the integrity of American government. Certainly the SCOTUS has also been guilty of making some extremely immoral decisions such as Roe v. Wade in 1973. It is rulings like that one which have significantly contributed to the moral decay of the whole nation. 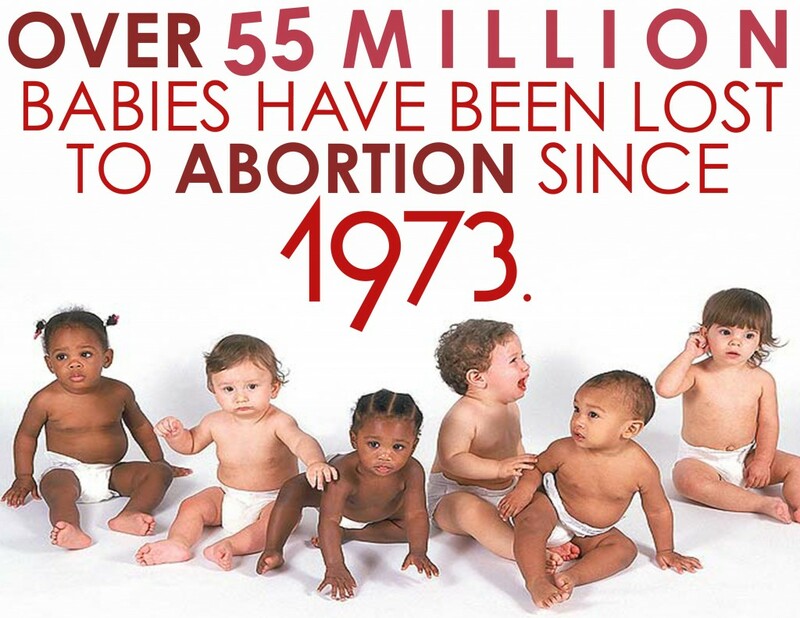 When a country will so casually permit well over 55,000,000 abortions to be performed, what won’t that nation allow. Look around and see the societal degeneracy throughout every facet of life in America in 2015 and beyond. It is both the writing of bad laws as well as the misapplication of many laws which have created a serious problem for citizens everywhere. So much legislation has now passed that should never have seen the light of day that the nation has already exceeded a point of no return. Particularly with Roe v. Wade and gay marriage do we see that once torn, the fabric of society is virtually impossible to repair. The legal class has always leaned to the left and vigorously supported the Democratic Party’s liberal platforms. It is this often ultra-liberal bent which has spelled the doom of this once great nation. Because lawyers and attorneys everywhere are so easily enlisted in destructively liberal initiatives such the overly zealous LGBT agenda, the society now finds itself under full-scale assault. Whereas the mainstream media is often the conspicuous provocateur and shameless assailant much of the time, it is the legal heft which now stands behind every unethical and immoral endeavor which We the People must now contend with every day. The determined advancement of the LGBT agenda is just one of those major assaults on the traditional sensibilities of the naturally conservative people the USA. For those who might misunderstand, no one is denying equal rights to the LGBT folks; rather, only that their highly aggressive agenda should not be given priority to the point where the children of this nation are routinely exposed to such societal decadence and sexual deviance. Because they have conscripted what is now known as the gay mafia (aka gay lawyers and attorneys), it should be understood that the threat of substantive legal action stands prominently behind all of their threats. Outright intimidation and violent bullying are their claims to fame, and they will use them without the slightest hesitation. Always, however, it is their phalanx of attorneys who stand at the ready to mold society into their distorted image and according to their perverted agenda. There was a degree of public and legislative distaste for a limitation of liability, with fears that it would cause a drop in standards of probity. This collective intuition about corporate abuse back in the mid 1800s was fully justified as the global environment has sustained massive negative impacts over many decades with no end in sight. Many now believe that the viability of the entire biosphere has passed through various critical thresholds. The worldwide environment has experienced so many assaults in the aggregate that many now wonder if the human race is unwittingly committing suicide. It is vitally important to understand that it is the legal advice offered to corporations before they undertake their multifarious destructive ventures that matters the most. When the corporate attorney blesses a project, it is usually just a matter of execution from that point forward. But how does management and the board get to that degree of comfort whereby they feel they can still make a profit even if things go terribly awry? Corporations are notorious for conducting cost-benefit analyses on any and all speculative business proportions. If any given project inflicts heavy damage on the local environment, then it may still be justified if the profits are such that the legal costs associated with any potential litigation can be satisfactorily offset. This particular decision process is why the BP undertook such a risky drilling operation in the Macondo Prospect in 2010 in the Gulf of Mexico. Everyone knows how that story ended. In fact BP was a serial corporate criminal before that epic disaster having committed many environmental crimes along the way to the catastrophic Gulf oil spill. TEPCO was likewise guilty of a whole range of corporate criminality which led up to and occurred after the Fukushima nuclear disaster. The same can be said for untold other oil spill disasters in the oceans around the world, as well as major nuclear radiation leaks which now take place regularly, yet often without notice. In each of these cases of massive environmental crime, it is always the corporate legal office which assesses the legal risks and financial liabilities associated with a dangerous or risky enterprise. Hence, the corporate attorneys of the Anglo-American Corporatocracy are primarily responsible for so much ongoing environmental degradation and ecological destruction. Even when the attorneys make a fatally bad decision and everything goes wrong, they are still protected by their fellow lawyers who man every position throughout the civil and criminal justice systems. There is perhaps no greater example of how the legal profession has helped destroy society as the health industry. The corporate law firms and lobbyists, which have repeatedly engineered the perverted legislation that shields health corporations from lawsuits, will have a very special place in hell. The many legal initiatives that have been advanced over decades to protect the vaccine manufacturers from legal actions are especially unethical and odious. When the children of America are methodically exposed to dangerous and deadly vaccines and the corporate criminal is provided special immunity, something is very wrong. Such legal maneuvering can only be accomplished by a veritable army of lawyers and lobbyists swarming all over Washington. The truth of the matter is that the quality of the nation’s healthcare delivery system has been inexorably eroded by so much bad legislation and injurious law. That the state operating in tandem with the corporations can now harm the populace and get away with it is unacceptable by any standard. They these same corporation can also now get away with killing the children is outrageous. It is only because of the highly adroit word merchants of the legal class that such perversion of law can occur. The corporate attorneys get paid big bucks to perform the necessary word merchandizing on behalf of pharmaceutical companies. In this particular regard these high-powered legal eagles ought to be held liable for all injuries sustained by the American people. That the Supreme Court is often directly involved in these perversions of justice illustrates just how high up the stench of malfeasance rises to. Not only are the most powerful jurists in the land participating in a medical assault and health fraud against the U.S citizenry, they are also co-conspirators in a whole gamut of other judicial crime-sprees. So are all the solicitors and attorneys associated with these miscarriages of justice. The lawyered-up drug manufacturers are especially culpable. There is so much more to discuss about how lawyers have completely destroyed civil society. Their pervasive influence and disproportionate power can be seen everywhere, and experienced wherever there is a courthouse or state house, a city hall or county clerk office. There is, however, one other very important aspect of this worldwide lawyer-caused calamity. America has long been labeled the most litigious society on Earth. In fact disagreements abound here like no other place on the planet. This is by purposeful design. Any nation as litigious as the USA is likely to get spent before too long. All the lawsuits and litigations make for a very tense business climate where many are on edge. Virtually anyone can be paralyzed by an unfounded accusation or shut down by an injunction. Frivolous lawsuit are frequently filed by the stronger business entity against the weaker, and by the rich against the poor. Eminent domain is a legal construct often used by the government to steal land and property from those who legally own it. The U.S. Federal Government has been especially aggressive in initiating political prosecutions, both at home and abroad. The public record is now full of examples of criminal indictments and civil persecutions which have only been pursued to neutralize a political opponent. There are now many legal maneuvers to terminate a politician’s plan for public office or force them from their elective office. Fabricating grounds for an indictment or holding a fraudulent arraignment have now become commonplace in America’s Criminal Justice System. The negative press alone is enough to kill an aspirant’s political career. The Judiciary is where the USA has really gone all wrong. Because the sitting judge sits in the position of power throughout both the criminal and civil justice systems, their often whimsical and cavalier, dictatorial and disproportionate judgments have set many a dangerous precedent. Because most judges are Bar-registered attorneys, they virtually always rule in favor of those interests, corporate and otherwise which are aligned with the Bar Association. This is, in fact the ultimate good ole boys club. These same judges play golf and tennis, squash and basketball with their fellow lawyers who are district attorneys and state attorneys, prosecutors and public defenders. With such a cozy relationship firmly in place for so many years, issuing politically incorrect rulings has become the exception. It is also the case that judges will often not decide in favor of a defendant or plaintiff who has been wronged, especially when that person or party is on the wrong side of the political fence. Then there are those judges who, in the conduct of a jury trial, routinely manipulate the court process in such a way so as to almost guarantee their preferred outcome. 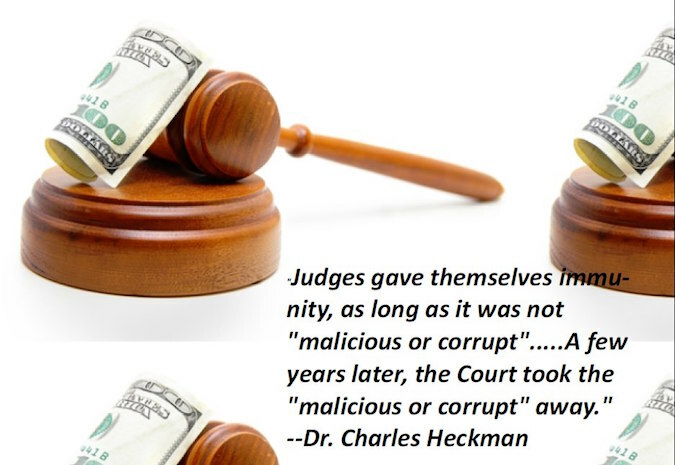 Perhaps the worst development regarding the judiciary throughout America is how thoroughly corrupted it has become. By corruption it ought to be understood that a judge can be bought in a variety of ways. Because envelopes stuffed full of cash have now been replaced with much more sophisticated forms of payoff, the corrupt ones are much more difficult to catch. Graft of this type is only one way that judges have been corrupted, which has then corrupted the entire system. Were the American privy to the ways in which judges have been routinely used to manipulate the criminal and civil justice systems, they would all be fired yesterday. It is really that bad and worse. A frank conversation with any public defender or experienced criminal defense attorney would provide more fodder for The Enquirer than all the other professions put together. Sordid stories of bribery and blackmail, extortion and graft are now commonplace when it concerns endemic wrongdoing of the judiciary. The central role of judges everywhere is such that they are in the catbird seat. When they are controlled by the rich and powerful vested interests which reign across the land true justice grinds to a halt. Everyone sees this dynamic at work every day in the doings and undoings of the U.S. Supreme Court. The whole world watched a bench of serially activists judges impose their will on the American people instead of the law of the land. Their unconstitutional SCOTUS ruling on gay marriage has not only profoundly undermined civil society everywhere, it has irreparably torn the social fabric. Likewise, the Chief Justice’s voting with the majority for an illegal Obamacare tax, with substantial penalty to the most indigent citizens, represents the most corrupt decision in Supreme Court history. The current members of the SCOTUS represent the most activist judges ever seen who have unconstitutionally taken on legislatively powers. Ever been to a city council or county commission meeting? If you have, then you know that every city council member and county commissioner defers to the attending city or county attorney as though they are God … literally. The city attorney can sink or float any initiative they so choose by uttering some nonsensical legalese. Likewise, many a county attorney has squelched a project or pushed a project by citing an obscure legal precedent, or whatever. It is quite the joke that these two positions practically run every city and county in the US of A. These two legal representatives have always operated with way too much power according to many of those in public service at the local level who have suffered from their flat-out wrong and/or transparently politicized advice. Therefore, whoever owns them, basically owns City Hall or the County Seat. Yes, it’s that blatant. When these two public attorneys issue their directives, anything goes. They can whimsically use eminent domain to knock down homes and businesses, or raze forests and other green spaces. It is not very difficult how such an abuse of power can be stealthily used to remove virtually anyone from their perch of power. Hence, it can obviously be used to target any citizen should they be targeted for any reason, particularly political. Such is the status quo in jurisdictions across America so misused is the power of the DA. The Obama Administration has been remarkably shameless in instigating numerous political prosecutions around the country. In fact the spate of political prosecutions by local DAs has been unprecedented and off the charts. That the attorneys of any given jurisdiction have come to completely control the politics goes without saying. Because the political class is so dominated by lawyers and attorneys throughout the USA has become the bane of our existence as a once established constitutional republic. Because all legislation and law is written by lawyers who now have no clue about the pursuit of truth or administration of justice, the society has been spiraling downward toward complete collapse. Welcome to 2016! Unwittingly, lawyers and lobbyists form the backbone of a Trojan Horse that was sent to this nation’s capitol and financial centers many centuries ago. Their explicit mission was to take over the country from within. This complex and convoluted conspiracy to take over the American Republic was hatched the very day it was born. Nay, this scheme was sketched out with the very first impulse of American independence from the British Empire. For it was the British Crown that had the most to lose from its most valuable colony. Not only were the Thirteen Colonies the crown jewel of all the British colonies, it was destined to become the New Atlantis. Hence, the Crown which resides in the incorporated City of London would never let such a prized possession leave the British fold. For these and many other reasons, the lawyers were conscripted to work triple time to take back what the Crown thought they owned. The British Bar Association knows their system of law quite well. They especially knew that possession is 9/10ths of the law. Accordingly, they were aware that all they had to do was institute the appropriate legal arrangements that would demonstrate that the British Crown legally possessed the 13 Colonies as well as every additional state that joined the Union. And so they did. This particular untold story is a very long and complicated one and therefore far outside the scope of this ‘short’ essay. However, the true back story lies right at the heart of what ails America. This legal narrative is arguably the single greatest determinant of the downfall of the American Republic. Because of its extraordinary weight on the distorted development of the USA, as well as on the fate of the world community of nations, this topic will be further elaborated in a future dedicated essay. The key point here is that the legal entity known as the Crown which was originally established in the City of London owns — lock stock and barrel — the U.S. Government, Inc. Of course, the whole process of misappropriation to unlawfully acquire the USA was based on a monumental fraud which is being exposed by the day. Therefore, those legal documents and financial transactions which made this theft possible are null and void. Likewise, We the People who occupy the land, the sea and the air of the United States of America really own it. Not only are we the tenants and caretakers, we are the true landlord and owners. The fault is not in our stars but in ourselves”? Linowitz, former US ambassador and currently senior partner of a noted “white shoe” law firm, gave a lawyer-thumping speech at Cornell Law School’s centenary celebration. Apparently aided and abetted by several Supreme Court justices who sent admiring notes about the speech, he has here elongated it into a book-length treatment about the decline of standards in the legal profession. His major complaint is that too many lawyers, faced with increased competition and the drive for personal profit, have abdicated their independence–i.e., they are “afraid to say no” to clients. Money changed everything. As Mr. Linowitz puts it: “Too many in my profession have taken a calling that sought the good society and twisted it into an occupation that seems intent primarily on seeking a good income.” The major culprits of his story are America’s big law firms. They richly reward lawyers who reel in wealthy clients rather than those who set standards of service and scholarship. They reward lawyers who play to win rather than those who earn respect. Sol Linowitz, perhaps more than any other highly respected lawyer, exposed the realities of his profession. His career in various legal capacities graphically showed him how “the Bar” has been steadily lowered. His writings laid bare what many have known for centuries: that lawyers can either choose to do the greatest good in society, or the greatest evil. 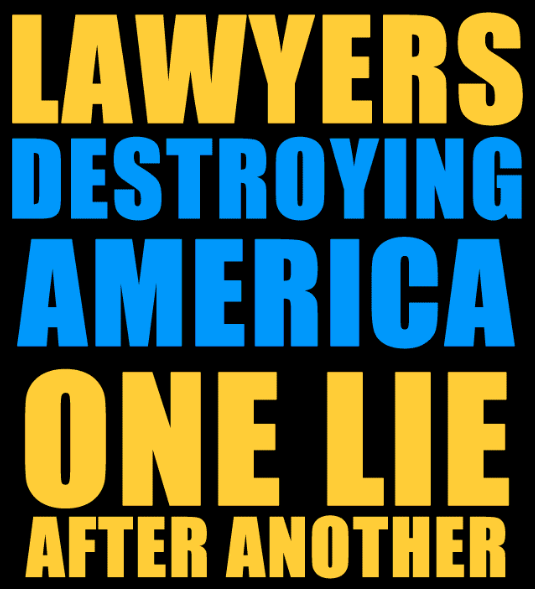 Because of the insidious and unparalleled greed which has infected the whole profession, the legal professional has contributed considerably to the downfall of America. Worse, it by their ubiquitous and prodigious influence, they have greatly assisted in the destruction of the entire planetary civilization. For the uniformed and inexperienced, the culture of lawyers and attorneys is really a very misunderstood one. This profession really trades on privileged information and secret data—24/7. It is their job to know what the scuttlebutt is. Toward that end they are privy to all the rumors and hearsay, true or otherwise, that can be used to influence the outcomes of highly consequential judicial decisions and legal rulings. In other words the highfalutin outcomes that often make the front page of the newspapers are actually the product of pressure being applied by those who have the most sensitive and/or damaging information. Legislation that is passed and laws that are made, therefore, frequently have nothing to do the foundational documents like the U.S. Constitution or Bill of Rights. Nor do they have connection to common law, natural law or scriptural law. Because of this vast disconnect, America has become a lawless nation. The USA has literally descended into such a chaotic condition of legal anarchy that the very republic is under extreme threat. At the end of the day it will be the lawyers and attorneys, politicians and lobbyists who have contributed to the greatest degree to America’s demise. Because of how easily compromised they have become over several decades, the current state of affairs could not be avoided. The American people made their first major mistakes by investing so much power in the town lawyer … in the local attorney. They made an even bigger error by elevating them into all the positions of power throughout the land. Truly, there is no greater disaster that the United States of America is now facing than the treason lawyers and traitorous attorneys who pretend to be advocates of We the People. There are very good reasons why the Founding Fathers of the American Republic wrote and approved the original 13th Amendment. In fact, this mysteriously expunged amendment was quite carefully crafted to prevent U.S. citizens, who pledged their allegiance to the British Bar, from ever holding elective office in the USA. Our forefathers knew from the very start that there were insidious plans afoot to undermine the Republic and abscond with the nation under false pretense and through deliberate fraud. The legal class in American society has always tended to be liberal and progressive in their advocacy and yet conservative and traditional in their general outlook. In the beginning, this was a good thing. Over time, however, the legal profession as a whole became co-opted by the ultra-liberal wing of the Democrat Party. The ensuing full embracing of the fraudulently ‘liberal’ agenda and ever-advancing permissive society has proven to be an unmitigated catastrophe for the nation, as well as the world-at-large. In the presidency of Barack Hussein Obama (also known as Barry Soetero) has the implementation of this essentially a hidden agenda found its full fruition. Obama was set up as a constitutional attorney who only knows how to shred the Constitution. The Obama Administration has promoted the most overly permissive agenda in American history. As such, the White House daily does serious damage to the whole society. The body politic has degenerated more since 2009 than it has over the previous 230 years. Only a thoroughly phony and fake constitutional lawyer could have inflicted so much damage in such a short period of time. What did the terrorist that hijacked a jumbo-jet full of lawyers do?